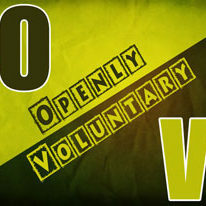 Openly Voluntary (OV) is a place for those interested in peace, human rights, moral & intellectual consistency. Openly Voluntary One (OV1) leads contributors and hopes the resources offered here are of use to you. Welcome! Much of our page is dedicated to the people that have contributed much to our movement, Murray Rothbard, Lew Rockwell, Larken Rose, Carl Watner, Shane Scheid, Jeff Tucker, Tom Woods, William Griggs, Bill Bupert and others. We love our neighbors and fellow travelers and welcome your original articles, memes, videos, audio and other content. Use our Contact Us page to contribute your intellectual capital. We are individuals with a passion for voluntaryism and other things. A number of authors post here, some use their assigned names and some use pen names. We hope you enjoy & are enlightened! I first read Atlas Shrugged in the mid-90’s and became a minarchist with libertarian leanings, and in 2007 learned about Ron Paul and became a leader in my state with his campaign, serving as a state delegate and a county enthusiast/volunteer for the Republican Party. I learned much about politics & government and began doubting their value. Around this time a minarchist friend shared a quote with me. “Q: What is the difference between a libertarian and an anarchist? My journey continued by reading any books and listening to many lectures. I discovered Carl Watner’s voluntaryist.com website and read his excellent book, “I Must Speak Out.” I was becoming a full-blown voluntaryist, as well as an atheist. I went through a phase of promoting both anarchism and atheism, and then realized that my passion was philosophy and peace, and that another’s belief or disbelief in things theistic was not important and created too many barriers. I have been busy in the liberty movement helping “make things happen” behind the scenes. Simultaneously, I was achieving some success in the business world. As a somewhat recognizable public person, I considered my experience during the 2007/2008 Ron Paul days. I owned a different company then, and had learned through word of mouth that I was losing clients that had discovered I was supportive of Ron Paul.